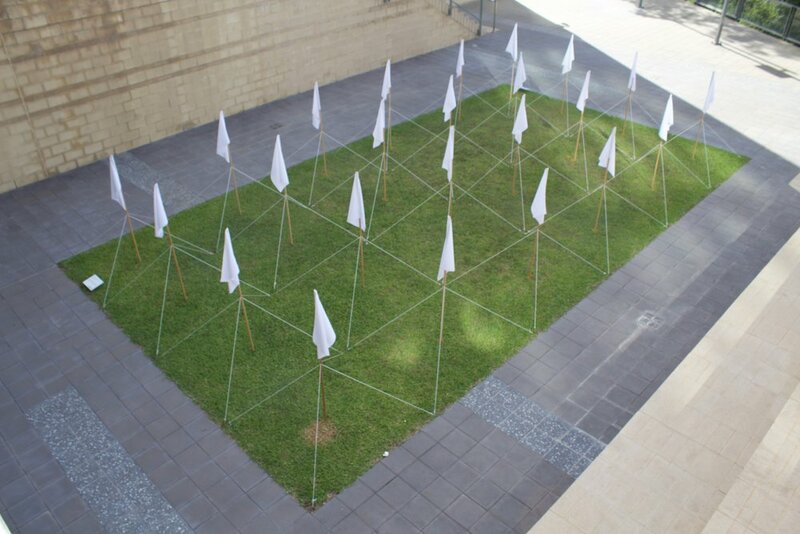 Prismatic acrylic, aluminium, HDPE, synthetic white rope, pegs, paint. 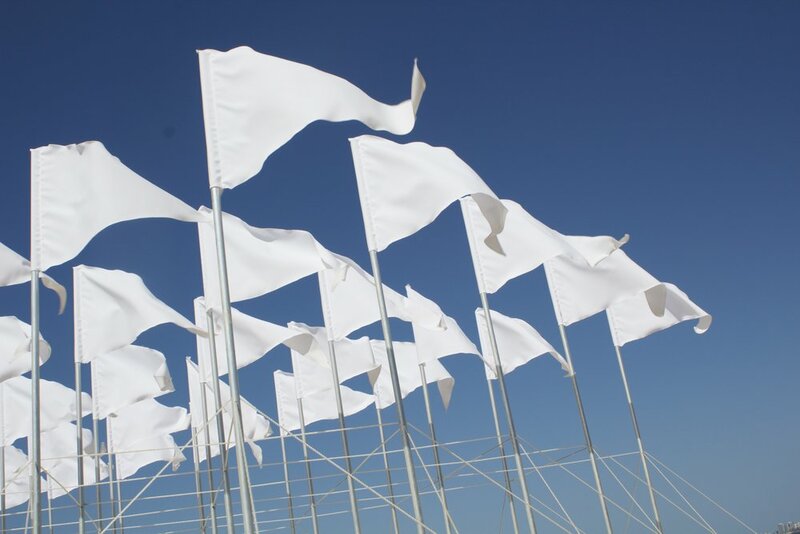 polyester flags, aluminium, synthetic white rope, sand pegs. 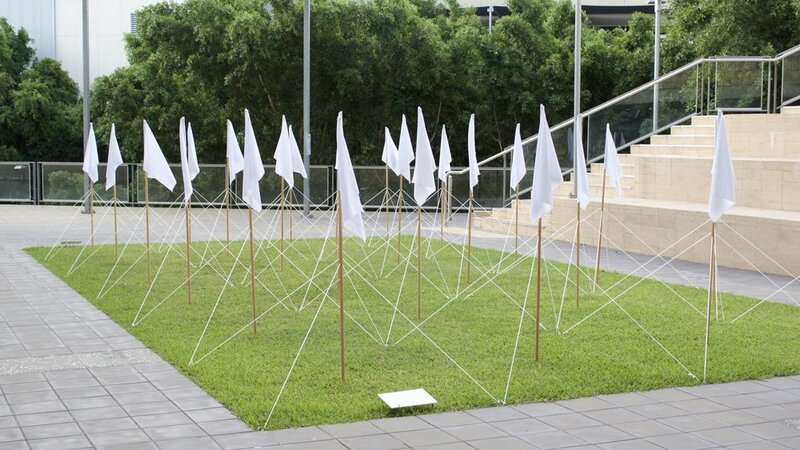 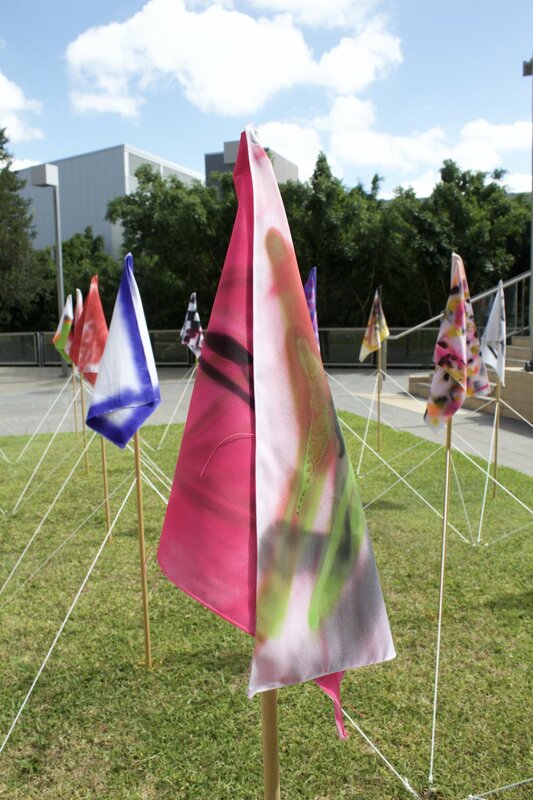 acrylic on polyester flags, timber dowel, synthetic white rope, tent pegs.